Have you ever wondered what a smart new fence could do for you and your home? What about adding a nice privacy fence to your garden that would allow you to enjoy even more balmy sunny days with your family? 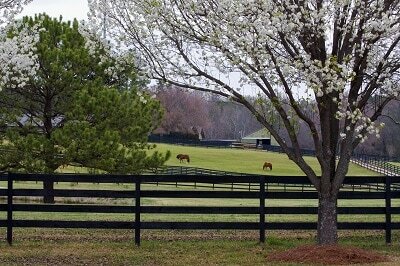 Or keeping your horses contained with a smart new post-and-rail fence? Or maybe you need security fencing for your business premises to keep out undesirables. At Fencing Horsham, we supply and install fences for gardens, farms and businesses in Horsham and surrounding areas of Sussex and Surrey. 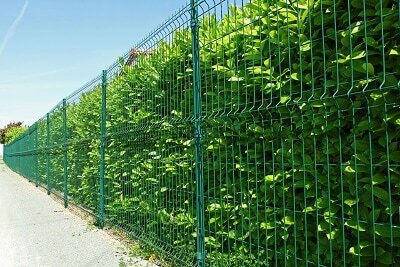 We are fencing suppliers with years of experience in the industry and proud to provide local residents with a vast array of fencing services like garden fences, agricultural and equestrian fencing, deer and stock fencing, pool and tennis court fencing, estate and paddock fencing, sand school, arena and manege fencing. And we can also repair fences of all types - why buy a new fence if your old one still has years of life with a little TLC? We aim to be the best fencing contractors in your local area and offer great materials and excellent service all year long. Being local means that when you think “I need a fencing contractor near me”, you automatically think of us as your trusted and reliable local fencer. We live in the Horsham area so we care about the environment and we only supply top-quality materials and employ only the best fence erectors. Our fence fitters have been specially trained to handle any type of fencing job while being provided with high-tech gear, equipment, and tools to perform their work faster and easier so you can rest assured we'll do a great job. Fence installation doesn’t have to be expensive; we make sure that our prices remain competitive and keep cost in mind when designing solutions. Our mission is to provide fencing services at a reasonable price so that everybody can afford quality fencing in their homes or for their companies’ needs. Ask us for a personalised quote based on your requirements, needs, and budget. We are always happy to have a conversation with you to discover what you're envisioning for your garden or land, but also your dreams, aspirations, concerns and all the questions you might have. Tell us what you have in mind and we'll make it happen. If your budget is limited, we can find some cheaper solutions or suggest alternative ideas that you might have overlooked before. All types of fences are ready to be supplied and installed by our team: featherboard, closeboard, close board concrete panel fencing, stock fencing, stock-proof, post and rail fencing, field gates, garden gates, ranch-style fencing, palisade, picket, trellis fencing, metal railings, estate railings, concrete bollards and more. Our team of local fencing experts is united by a passion for fencing and enhancing the landscape where our customers live. We have set very high standards and we adhere to these principles every single day, bringing our passion and dedication to each project. We invest the same amount of energy in each project, whether big or small, and take our time to craft the perfect fencing plan that will make you a happy homeowner. Fence options are almost unlimited and this plethora of choice might seem confusing. That's why we have designed a careful approach that will satisfy those who are planning for the long-term. Since you don’t change or replace your fence very often, it is important to make the right choice from the beginning. We're not only a fence supplier but also a fence builder, which means that you can contact us for every single fencing issue or need that you might have. One of our expert fencers is always available to answer any of your questions and provide you with great tips and advice that will help you make a better decision. We believe in educating our customers and explaining why we make such recommendations as opposed to other choices. Call Horsham Fence Contractors now on 01403 540132 for free advice and a free no-obligation quote. 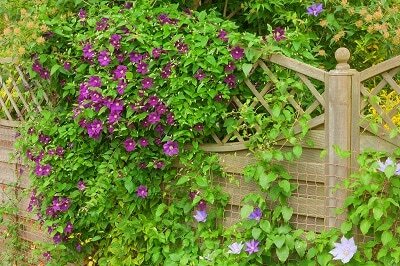 Most of us have some way of delineating our boundary, whether it’s a hedge, wall or a wooden fence. Popular choices are panel fences which are easy to put up and provide privacy and security for your home. You can have either wooden posts and gravel boards or even more long-lasting concrete posts and gravel boards. 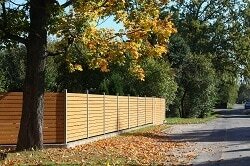 Replacement fence panels can be used if a section of your fence is damaged by a falling tree or other unexpected impact. Western Red Cedar fencing is a luxury option that looks stunning and is becoming increasing popular for a bespoke look to make your property stand out. A very sturdy option is a closeboard fence. It has a similar appearance to many panel fences, but is built individually with each board overlapping the last. We can advise and explain the difference between close board and panel fencing. 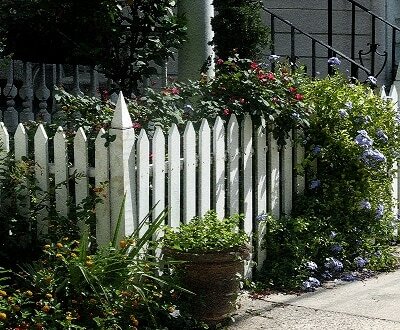 If you wish to keep an open appearance yet still mark your boundary, you could opt for a picket fence or even a low chainlink, which could be a good choice if you want to grow shrubs against the fence. Of course you’ll need garden gates to complement your landscaping, which we can supply and fit to suit your requirements. Farm and smallholding fences need to be tough and secure. No-one wants their animals straying to neighbouring land or on to the highway. 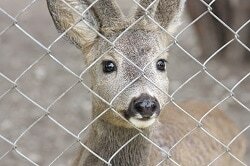 The type of farm fencing you need will depend on the animals you keep – for example deer farmers obviously need high deer fences to keep in their stock, or you may even want to keep out wild deer if you have precious crops and a large population of wild deer. We can also erect stock fencing for sheep and other herbivores or post-and-rail fencing for horses. We have experience and the equipment to build long runs of stock fencing at a reasonable price. Horses have special requirements since you don’t want your stock becoming entangled in unsuitable fencing or breaking through fragile old fences as they rub or try to graze beyond their boundary! Whether you have youngstock, stallions or simply riding ponies, you’ll want the best paddock fencing to keep them safe and sound. Let us take care of your requirements with quality fencing. Unfortunately, it has become common for business and educational establishments to be vandalised or broken into. You can do a lot to protect your premises with the use of high-quality security fences. There are lots of options available and we can advise you to suit your needs and your budget. With all these choices, how can you pick the right fence? First, here are a few options for materials: Aluminum, Wood, Western Red Cedar, PVC, Wrought Iron, Vinyl, Electric, Bamboo and farm fences. Aluminium is nice if you are looking for a simple yet attractive fencing type. Maintenance is limited to a minimum but this type of fence will not provide you with increased security if that’s what you are looking for. Initial painting and decorating is required but after that, you can keep it as is and still enjoy the benefits of an aluminium fence. On the other hand, wood fences are extremely popular. A high panel fence gives a sense of privacy and a warm feeling sought after by many homeowners. The price is rather affordable and a carefully-painted wooden fence will improve the overall aesthetics of your house and even increase its value if you are looking to sell it. We'll provide you with solutions that can last a lifetime! More about wooden fencing. It is one of the cheapest types of fences even though it may not be the sturdiest one. A few PVC sleeves will add stability if needed. PVC fences still serve their purpose and offer great value for the cost-conscious customer. PVC will resist to bad weather and can last for a number of years. Beautiful and strong, these fences are here to give the individual look that is wanted by some homeowners. However, constant maintenance and upkeep are required to keep it beautiful. In terms of pricing, you will have to spend a decent amount of money since they are custom made. Sand it and repaint it every few years for best results. Don’t choose a wrought iron fence if you are looking to improve the security in and around your house. More conservative choices are available. This is the king of durability. They have a reputation for being even more resistant than wood fences. They are relatively maintenance-free and can be cleaned easily, ideal if you want to remove graffiti or stains. The cost is slightly higher than other similar fences but due to the fact that it is low maintenance and durable, you could save money in the long run. If you're looking for a different look or feel, bamboo fences can add the extra touch that will make your home stand out. It is growing in popularity and if you are looking for an environmentally friendly fence, this could be the perfect one for you. It is not only a green solution but also a cost-effective one. It is not always the perfect solution for colder climates like ours but if you really want something original and unique, it's a great idea. As you can see, we have a fence for every possible need. However, if you don't see what you are looking for, feel free to call us or make an enquiry on our website by filling in the form - particularly useful if you're surfing the internet late at night! We're looking forward to hearing from you today. Contact us for the best Horsham fencing and gates! Our expert fencers are ready to advise you on the best fence to suit your needs. Fences and gates are our speciality and we take very seriously our mission to provide every inhabitant of Horsham in Sussex with great wooden fences or metal alternatives. Our company was built around the idea of offering the best fencing service locally along with top-class customer service that always leaves our clients with a smile. Satisfaction is guaranteed every time we install a new fence at your home, your office or at work in general. We hope our knowledge and professionalism will astound you as we go the extra mile to keep every customer happy. 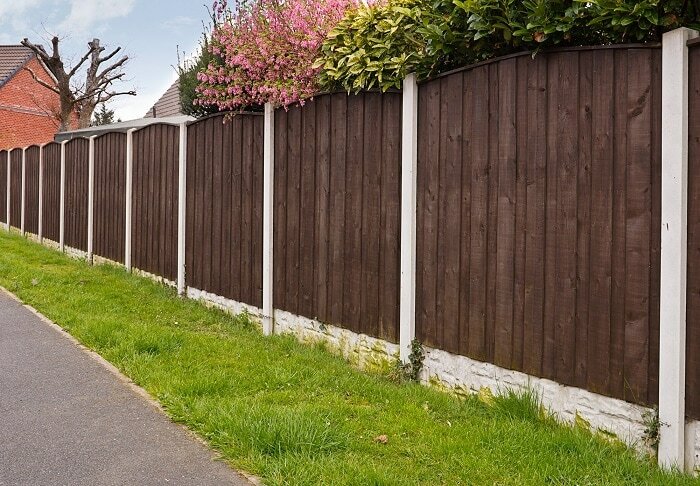 With years of experience in fencing, we are confident we can provide you with the ultimate fencing solution that will match perfectly what you require. Whether you're looking for a privacy fence or a paddock fence or simply some decorative fencing panels, we have everything available to accommodate you. A timber or composite deck can add a lot of value to your property, as well as being an asset you can enjoy for years to come. Horsham Fence Contractors are specialist deck builders and decking builders who can turn your ideas into reality without spending a fortune. Whether you’re looking for a traditional timber deck or a hard-wearing composite decking with a balustrade, we can help you to plan and imagine the final project. Patios can be built in all shapes and sizes to accommodate your requirements. We can build retaining walls of either brick work or using wooden sleepers and incorporate raised beds if you wish. We are also landscapers, so for all landcape gardening Horsham, visit our website. 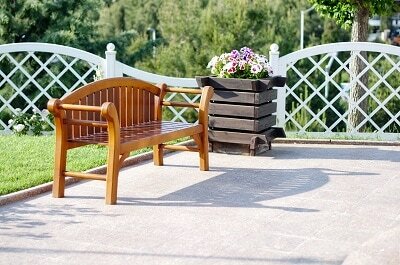 We specialise in wooden decks, composite decking and patios as well as other garden construction. Visit our sister website for further information.